Canadians engaged in volunteer Marine Search and Rescue play a critical role in serving Canadian communities, both urban and rural. Each year, over 2,000 rescue missions are conducted and more than 200 lives are saved. These crews dedicate significant time to training and rescue calls each year taking on risk of personal injury living by the motto “so others may live”. 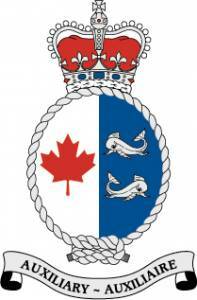 “This announcement is a nice recognition for the hard work, commitment and dedication that our brave volunteers provide,” said Canadian Coast Guard Auxiliary President Randy Strandt. “The Government has acknowledged the key role these crews play in essential search and rescue services. Each of these volunteers is providing an ´essential service´ to their community as without them, the safety of those in danger on the water would be further in peril. They are often the first on scene and in many cases the only resource called upon. They are literally the difference between life and death in over 200 cases every year. The tax credit will allow crew who performed at least 200 hours of volunteer search and rescue service to claim a 15-per-cent non-refundable tax credit based on an amount of $3,000. This measure will apply to the 2014 and subsequent taxation years. For more information, you can read our FAQs.